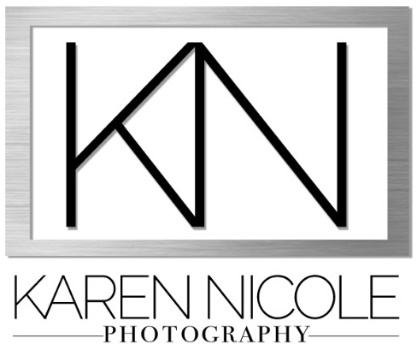 When you book Karen Nicole Photography for your Senior portraits, you're booking a team of educated professionals that are dedicated to making your high school senior photo shoot one of the best experiences of your entire senior year! Past KNP Seniors tell me that they had so much fun on their shoot and love their pictures so much that they wish they could do it all over again! We look forward to every single shoot because we know that when you look your best and are having fun, you'll feel great and enjoy the full experience of making fantastic portraits! Make sure that you absolutely love the work they're showing on their website, social media and the reviews of other clients. It seems so obvious, but many people overlook this one simple thing. Professional makeup is definitely encouraged but isn't 'required' at KNP... so if you prefer my makeup artist to 'work her magic', then we're happy to provide that service, but if you don't want makeup, that's ok too! Should you choose to have your makeup done by my artist, rest assured that it will only enhance the beauty that's already there because the last thing we want is for your friends and family to say they don't recognize you in the photos! The sole purpose behind Senior portraits is to be yourself! Pinterest is great for gathering ideas for your session, but be careful not to get carried away! Again, the purpose behind having Senior portraits made is to be yourself and show off who YOU are right now... that's why I love hearing all about the things you're into! Whether it's music, sports, academics, hobbies, your vehicle, pet(s), or whatever floats your boat- I make sure to feature them in a way that compliments you! Because photography is my full-time profession and I've gone to great lengths to be educated in the craft, KNP is a full-service custom photography studio. This means I choose to offer tangible, heirloom portrait products to my clients. I love providing a fun, customized photo shoot experience, but I also take pride in offering beautiful portrait products that you'll be proud to display in your home or office, as well as to give to friends and family. Digital portraits are available because they're fun to share online and sometimes you only need a few printed or to send for specific reasons, but because of failing and changing technology (remember floppy disks, cassettes and cd's? ), a truly professional photographer will provide ways for you to display and enjoy your portraits for many years to come... this isn't possible if they're only stored on a thumb drive or in an online gallery. Keep scrolling to view the variety of sessions available! No matter what you're looking for in a Senior session, one of these four is just for you! You get the works - the COMPLETE EXPERIENCE! It's everything in the SIGNATURE session, but way more! Ever thought about turning your Senior session into a family or friends trip??! Let's go on a road trip for your Senior session! A big city.. the beach.. what's your awesome destination?! The EXPERIENCE session is just that..
of your dreams in a location your friends will envy! This session is all about your style and your story! We’ll have plenty of time to incorporate the things that you love! Sports, Music, Hobbies, Vehicles, Fashion, Pets, Your Bestie... whatever floats your boat! There will be plenty of time for a lot of creativity, so let's have fun and create a memory you'll never forget! Some Seniors are only having their portraits done because Mom wants them to... but they still want to show off their personality! With the STUDIO session, we'll make beautiful images that your family will cherish for years to come and you'll definitely have fun doing it! Ordering session can be held immediately following the shoot. An in-person order appointment will be held a week or so after your session to choose prints and products. at your appointment, but there's no doubt you'll have PLENTY of choices!